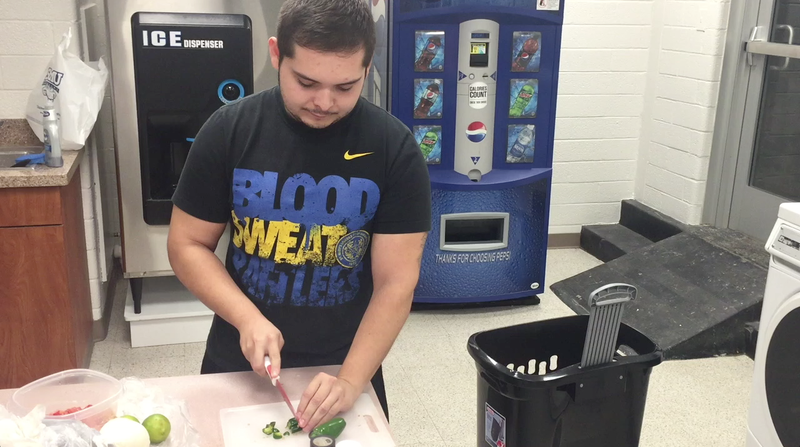 Joseph Hernandez, Senior Biology Major, cures homesickness by making a simple Mexican Salsa at the beginning of every week. Eight hours away from home, Hernandez creates a connection with his hometown, El Paso, Texas, by making the snack his family frequently enjoys. After, place all ingredients into a serving bowl and mix until all ingredients are spread out evenly. Once all of the ingredients are mixed, add salt, pepper, and lemon for taste.